Discussion in 'Dovetail Live Article Discussion' started by TrainSim-James, Aug 16, 2018. I have a 200 MB update and it's still installing. But i didn't get the route. Just for the record, I live in the Central time zone in the U.S. and for me the download is "Scheduled For Tomorrow 5:04 AM". The current time is 1:26 PM, 8/16/2018. Believe it or not, that's better delivery service than I get from my local post office. Hi all. For people who don't have the route but saw an update, it's the achievements config. As this lives in the TSW Core and not the routes, the achievement configs will update for everyone. Console players had a major release just 3 weeks ago. This is the first major release for the PC version since the West Somerset Railway launched in May. West Somerset Railway is due to be the next major release on consoles and Ruhr Sieg Nord will follow not long after. It will be completely to Consoles later. Pay attention please. There are core updates too included in this. when is it coming soon? Just finished my first ride with the BR185.2. Beautiful scenery! Now I have to learn to avoid the Zwangsbremsung. Für Konsolen kommt sowieso kein Editor. Ruhr Sieg Nord kommt dann in ein paar Monaten, aber davor noch WSR. My title screen went back to the CSX HH one, is that normal? I got it without buying the full TSW game and keeping CSX HH only. Thanks, Luke! That's news we can use. That update was for everyone, regardless if you bought the whole version or not. EDIT: Wait a hot minute, where the heck are the loading screens for RSN?!?!?! DTG all I can say is wow, in my humble opinion RNS simply sets a new bar and if this is what we can expect going forward fantastic. The Detail within the route is fantastic it feels gritty , it has a sense of atmosphere none of the other routes have, details small things like smoke from factory's ect really aid in brining this route to life. If you have a whiteboard in the office simply grab a postit note write * RNS and put it at the top fantastic job guys n gals at DTG loving it and well done the best DLC you have produced so far hands down in my opinion. Looks like a top notch product. Great job, DTG! I recognize that this is one of the best DLC out so far. DTG is improving. To be continued. Extremely impressive! I'm experiencing really good frame rates (not what some of the usual braggarts will claim, but better than I've seen on other routes). The amount of AI traffic is impressive. So far I've run the tutorials -- some more than once -- and just wonder why there are voice-overs in some, but not in others; and a few scenarios and sessions -- trying to ration the content, but the temptation is great. I'm in full agreement with all of those proclaiming the best TSW route I've experienced. Thanks!!!!! Only the last tutorial has no voice over. I think that one was added last minute. I do have to say, all the comments on how nice it looks is slightly concerning as a console player because, well it's console. I am EXTREMELY HAPPY that i decided to pre-purchase the route. It is a work of art! I finnaly got a chance to properly experience the old electric locomotive properly, TS2018 didn't allow me to do that. BUT it's taken a hit on the FPS which prevents me from playing on some routes, but i made plans to get a new processor already. Walking around is extremely immesive experience due to all the 1900's architecture and feel and the mood. Will the classic passanger 1st class and 2nd class blue and red wagons be re-introduced at some point? when will the updates come from pc and ps4 at the same time? A very fine DLC - well done! When coming Somerset railway Update for console? There's an echo in here. Anyway, I'd like to hear voices in scenarios and session as well, but I understand from previous postings that adding them would present problems due to the need to produce them in numerous languages. The preview devstream hinted strongly at some kind of diesel in the works to switch branch lines- given the time period of this route, I'm pretty sure that's a BR 294. Knowing DTG, it won't be an update, though... you'd have to pay for it. Why do some folks think that DTG is a charitable giveaway business? It depends how much work is required to bring the BR 249 to life in TSW. It dosen't happen overnight. There is testing, 3d model work, scripting, time and effort. Sound research and more scripting. It's completely understandable that it is not going to be FREE. 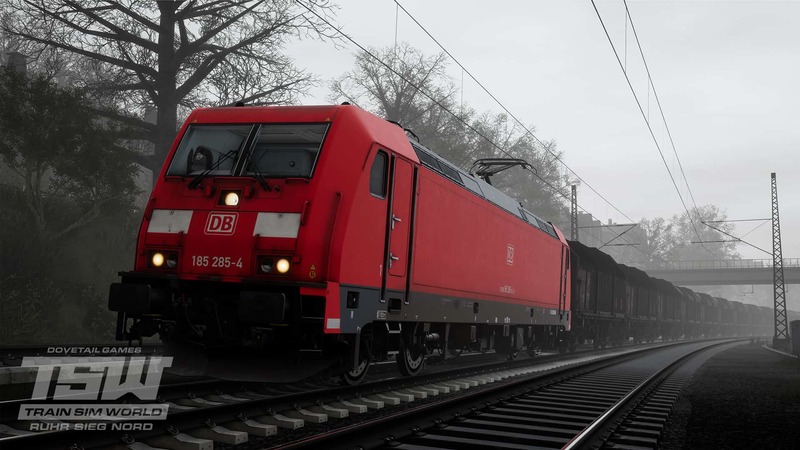 If you still play TS2018, check out Train Team Berlin's enhancement pack for the BR249. It's about 24 euro and you'll soon find out why. 1. 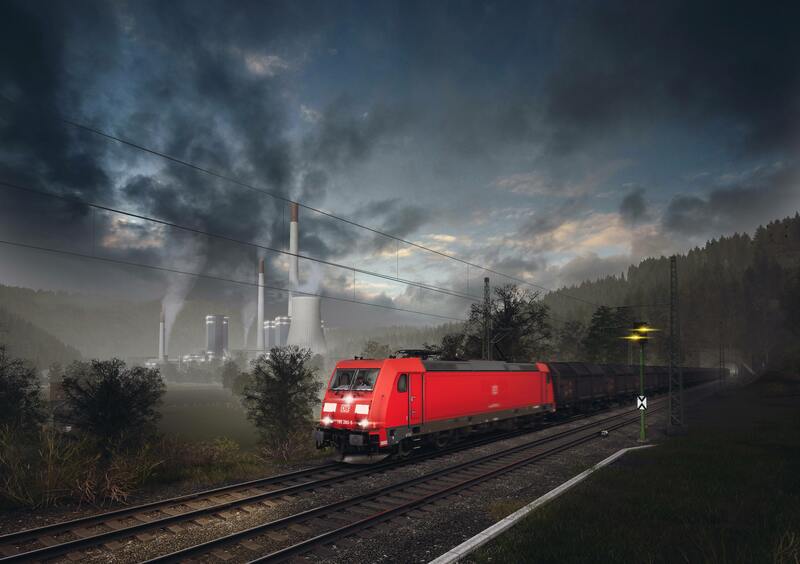 Will TSW Ruhr-Sieg be available in reseller stores, e.g. gamesplanet, gamesrocket, green man gaming, …? 2. When are you going to introduce a working train destination display? 1. DLCs are only sold digitally as far as i know, you can only buy the basegame boxed if any. 2. Simply when its done... The don't give eta's. I don't know, I hope they realize that their content does actually require a lot of work. That isn't to say they shouldn't update their routes for free, but including stuff like a whole new engine for free just isn't how the economy works. I know that DLCs are merely sold digitally as gamesplanet etc. actually are digital resellers often offering a discount. My question in the original post wasn´t really well phrased, actually I only want to know if they do it, perhaps without any release date but mainly there´s a plan to realize it. The time period is actually now, just with semi-fictional rolling stock. The stations don't look like they actually looked pre-2007. Yeah, but it's close enough (only a decade) to work and still look realistic. I don't think some of the older locos Gabe mentioned would make sense here, though- that was my point. if you already know that ruhr wins north immediately after the release of somerset, you should also know in which month or? The release schedule is not set in stone. Things change, the release could be delayed or brought forward at any time for whatever reason. If we spent weeks saying it'll arrive on dd/mm only for it to get delayed, that causes a lot of un-necessary frustration and anger in the community. So we wait until close to the time of release when we know it's going to go on schedule before announcing a date.